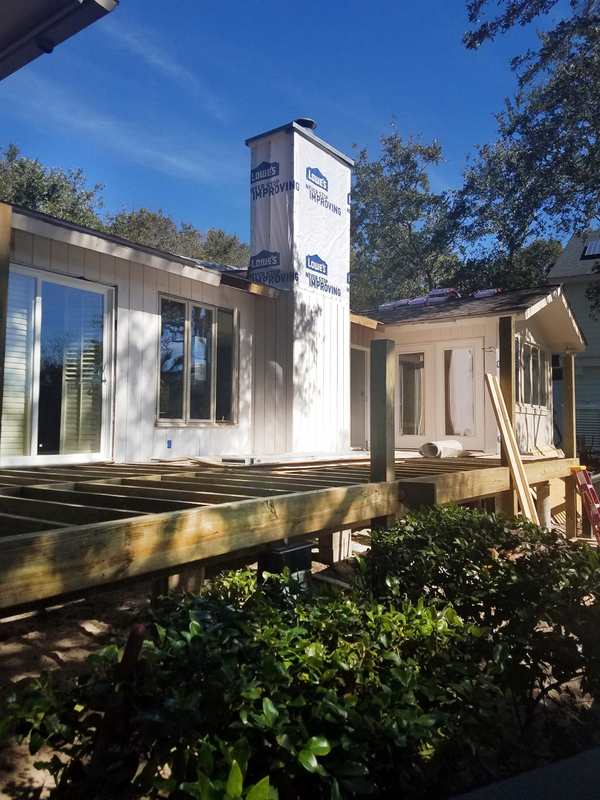 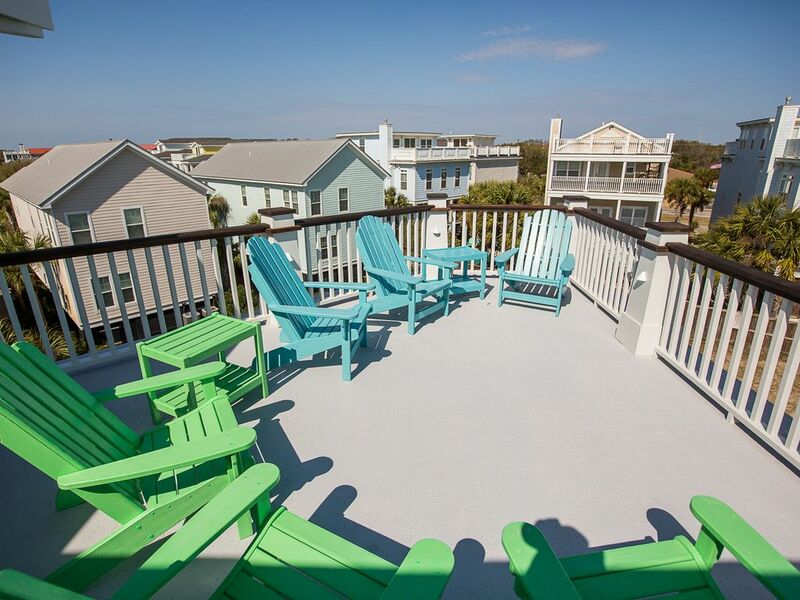 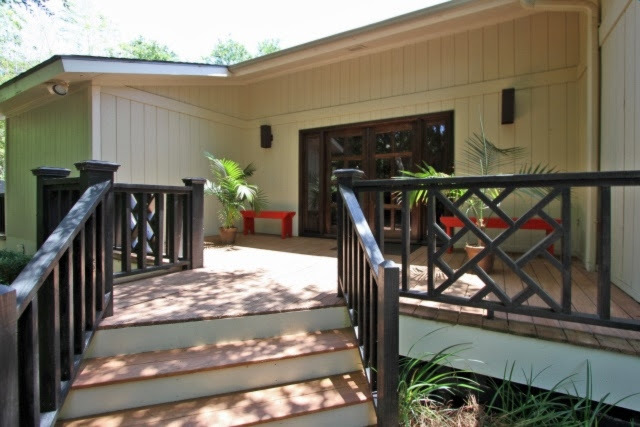 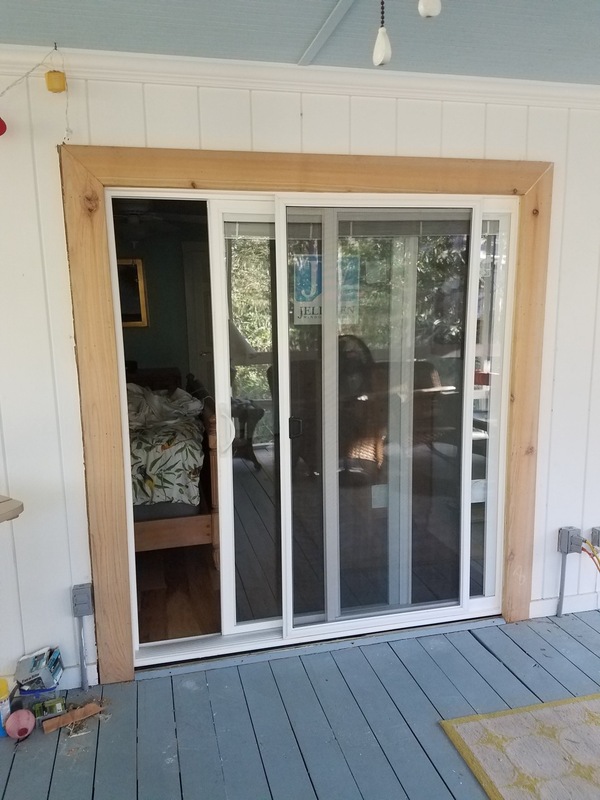 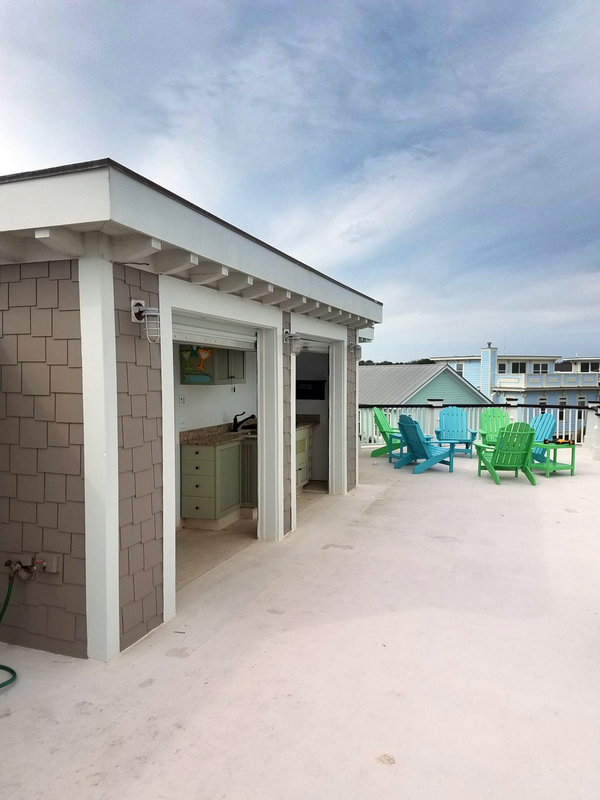 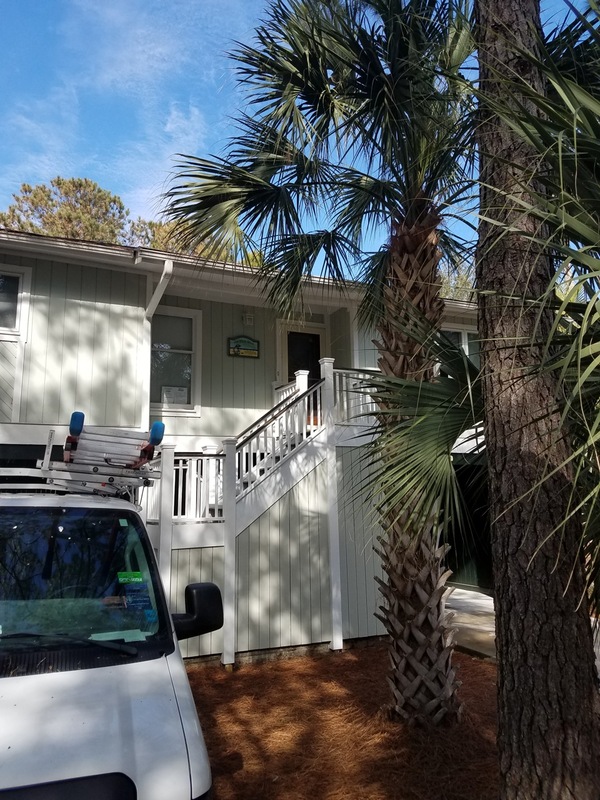 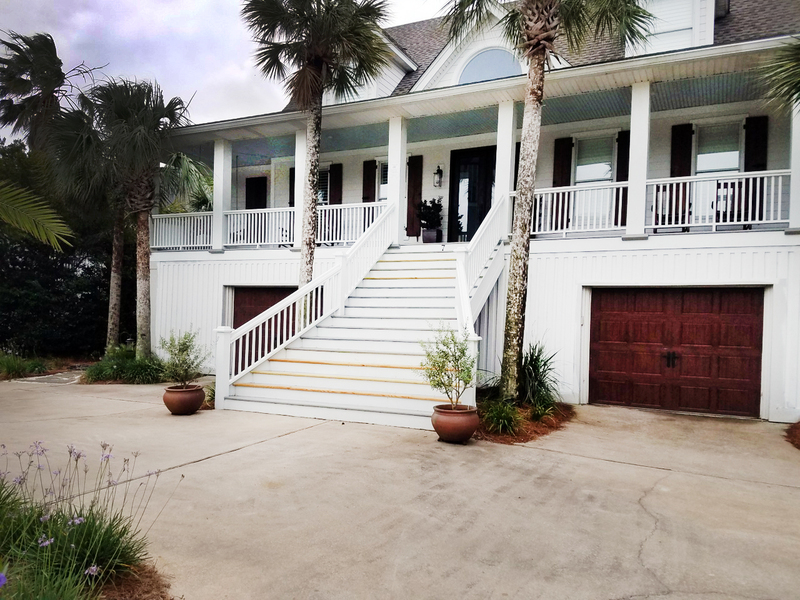 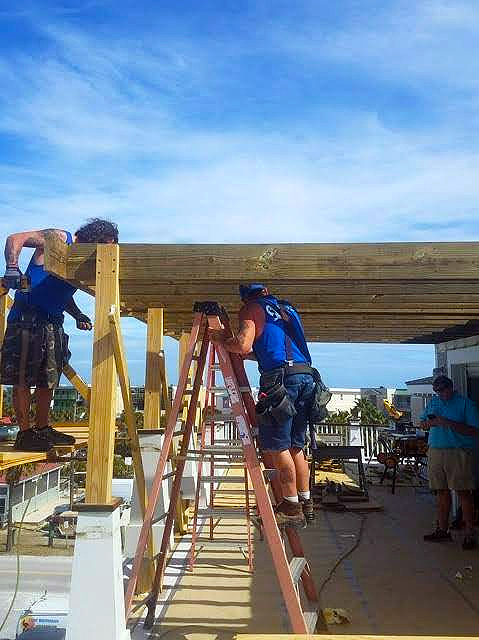 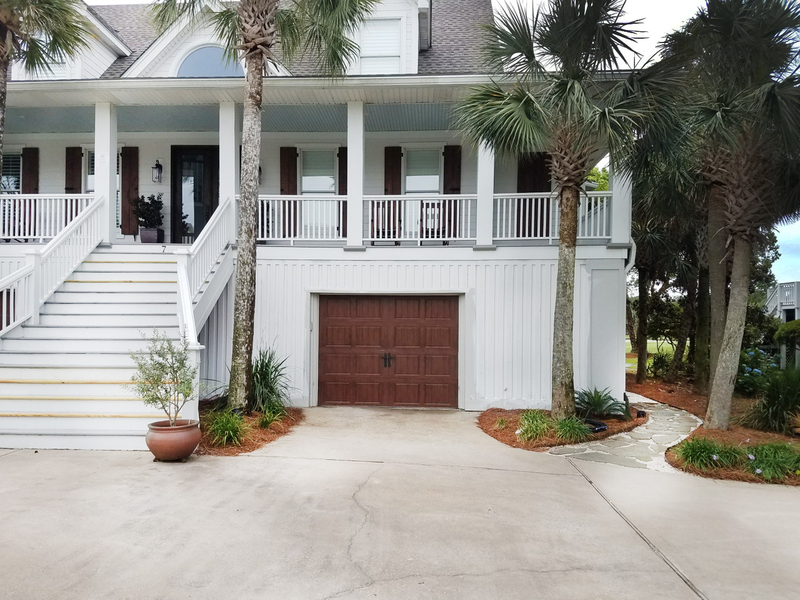 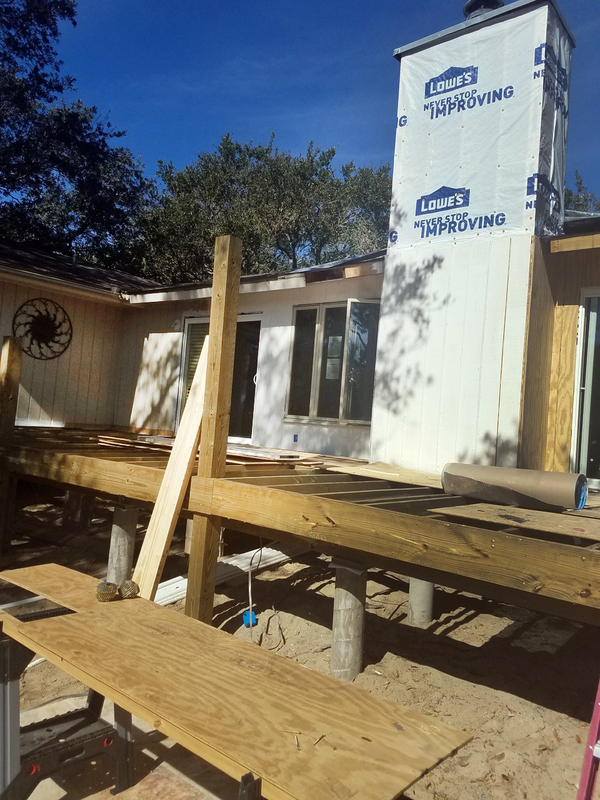 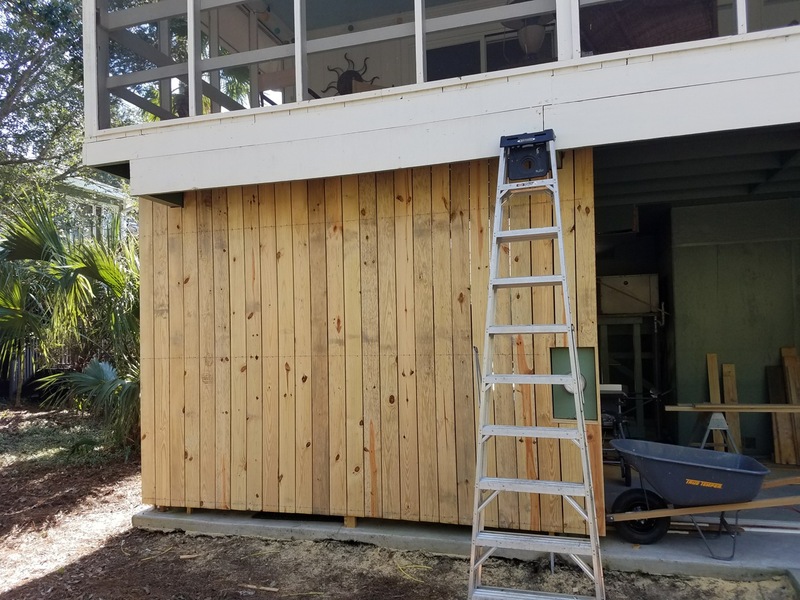 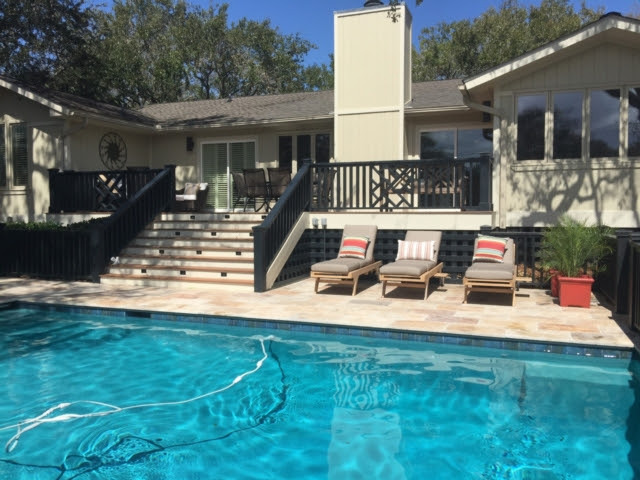 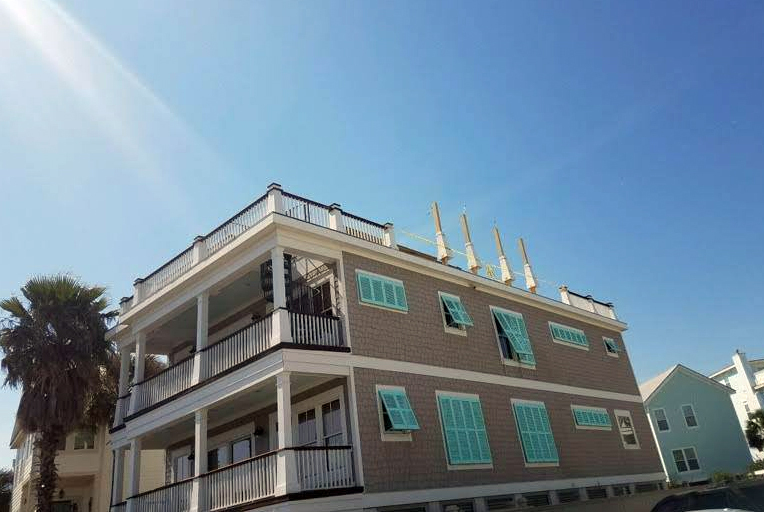 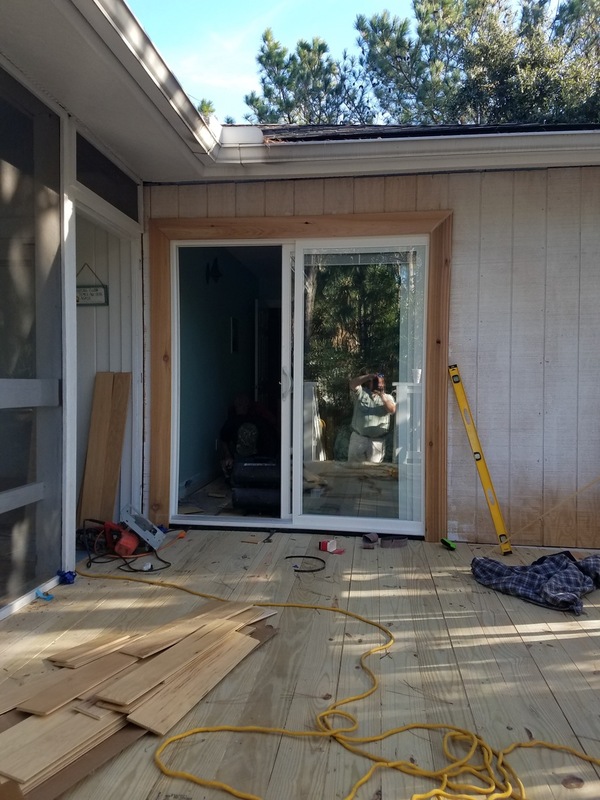 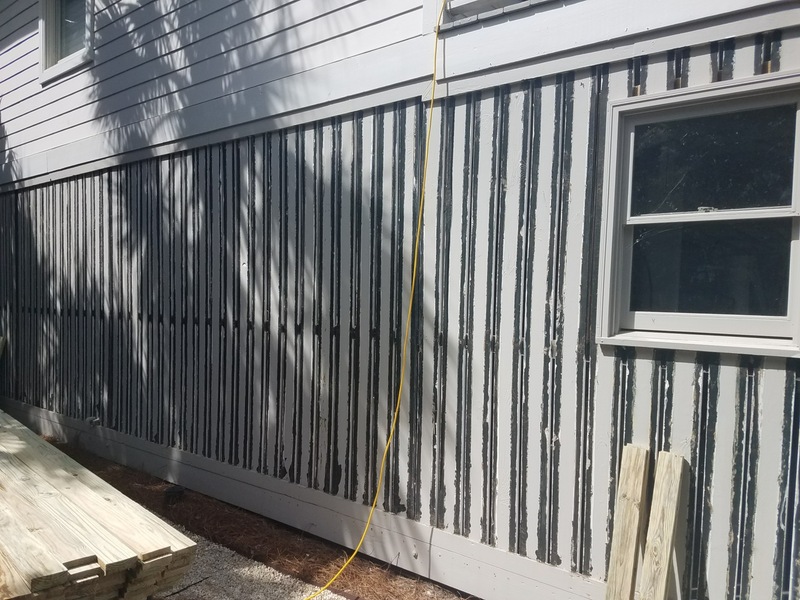 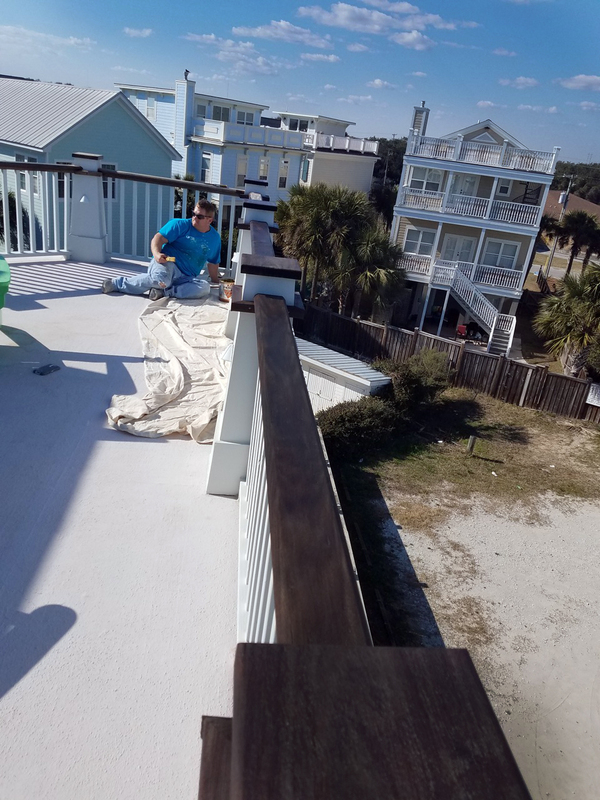 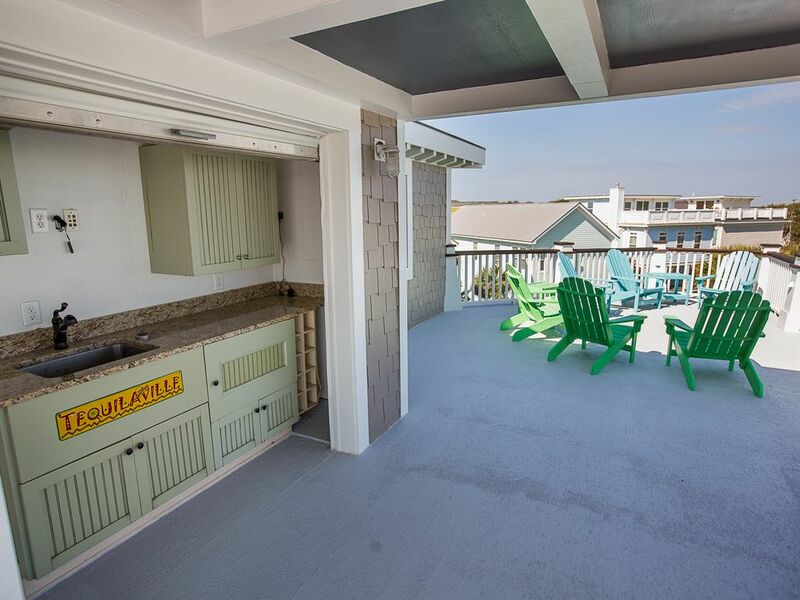 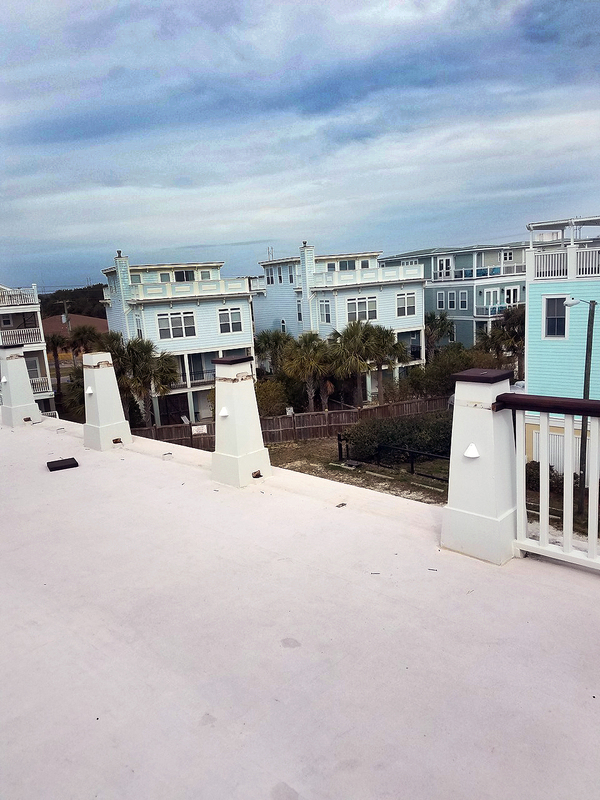 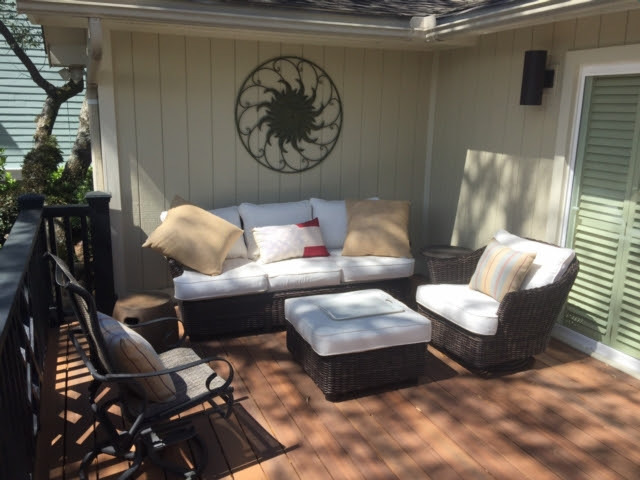 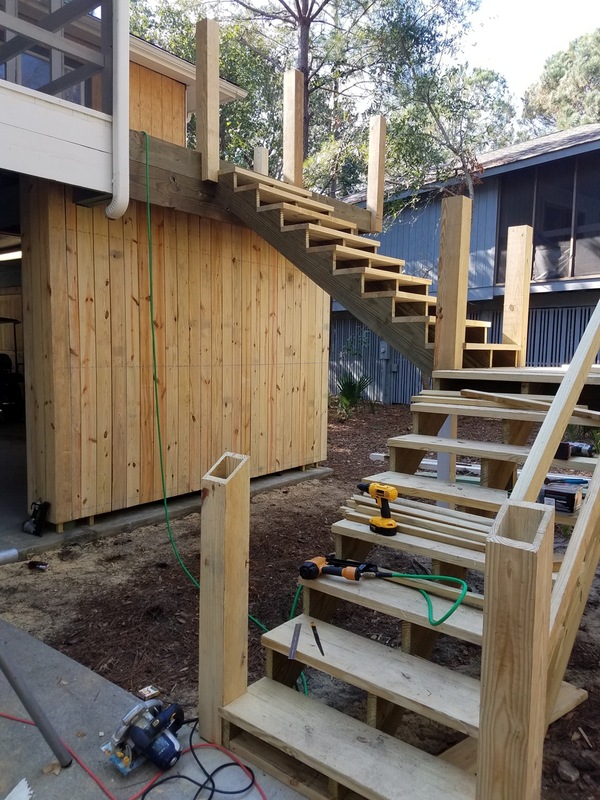 Tore off the entire back deck by the owner’s pool and replaced with ipae composite boards and then rebuilt the entire front and back deck along with the entire back of the house. 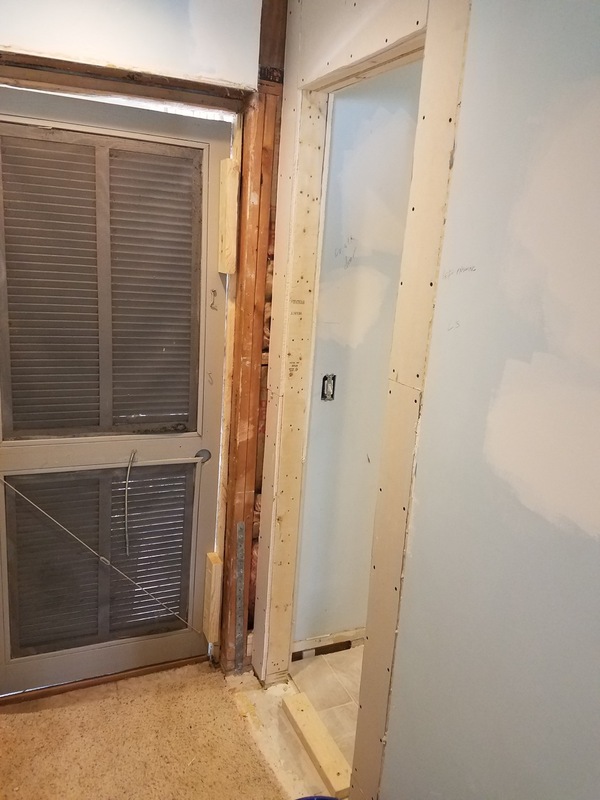 Also replaced tile in master shower and frameless shower door that had settled over the years and needed to be adjusted and replaced. 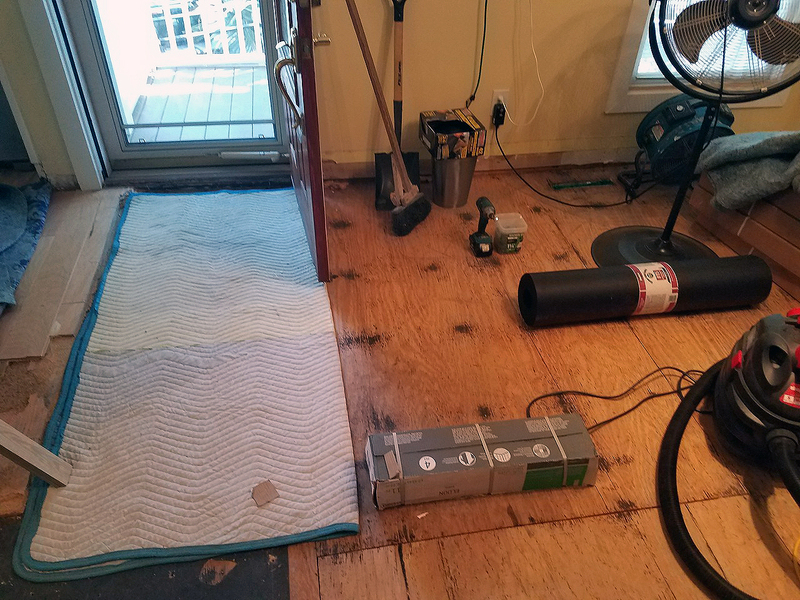 Also jacked up part of the flooring system and replaced rotten girders under the house to ensure floor system was level. 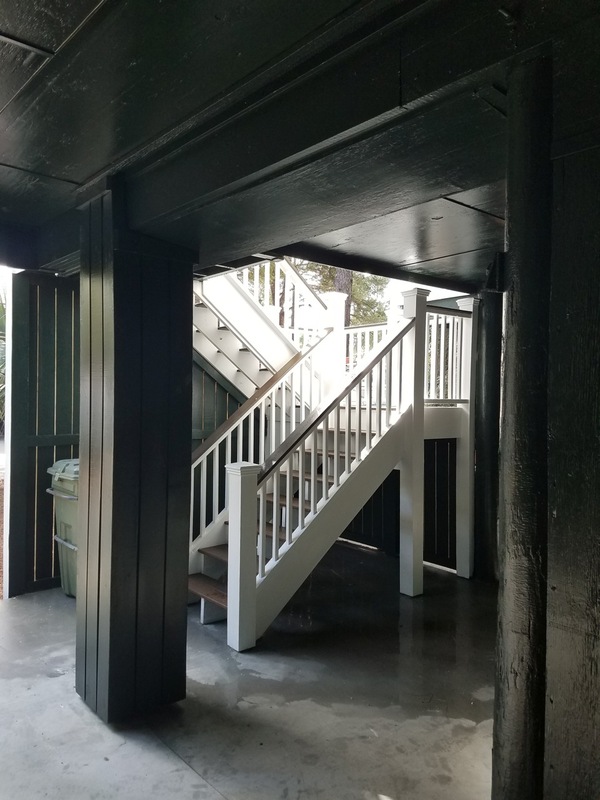 Scroll over the picture on the left to scroll through this project’s gallery. 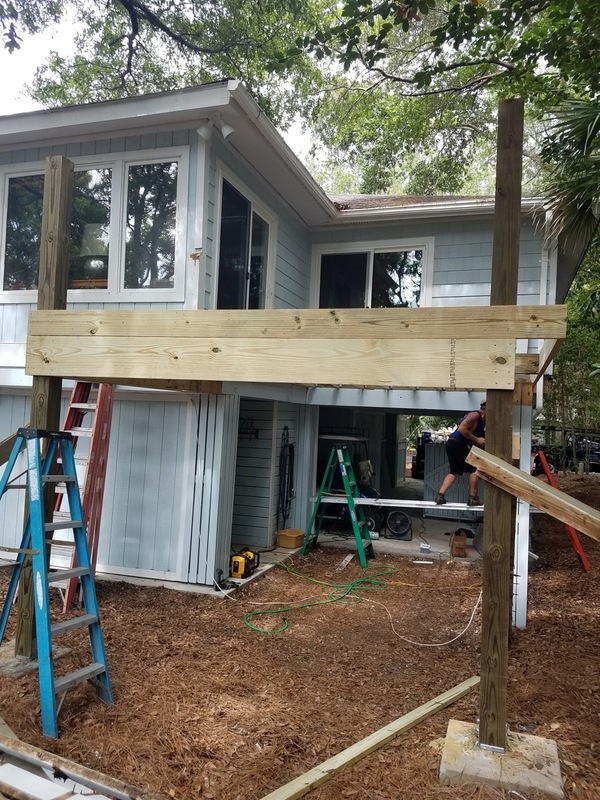 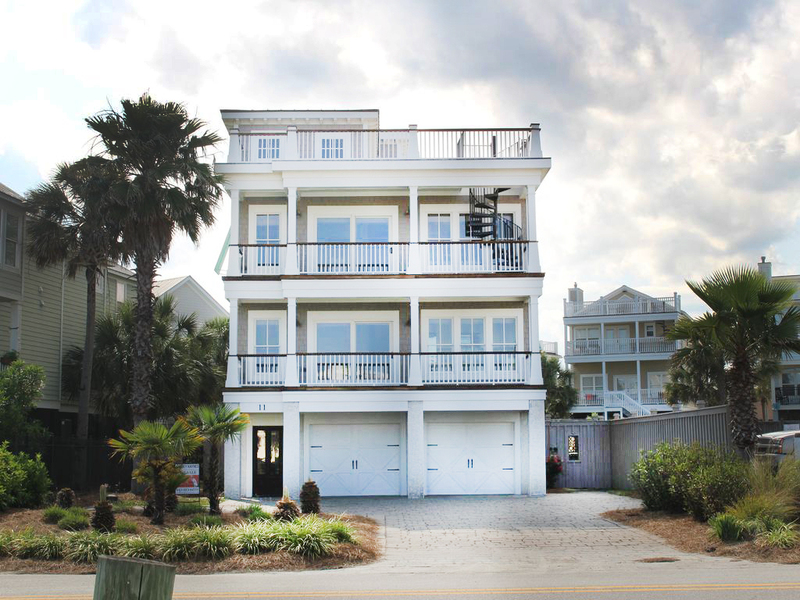 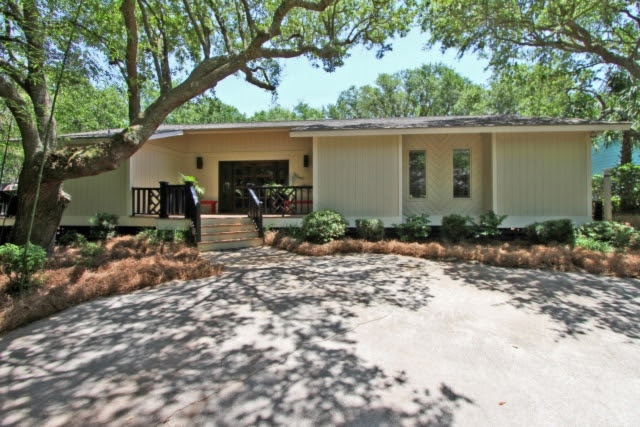 Keep scrolling down for more renovations in the Charleston area. 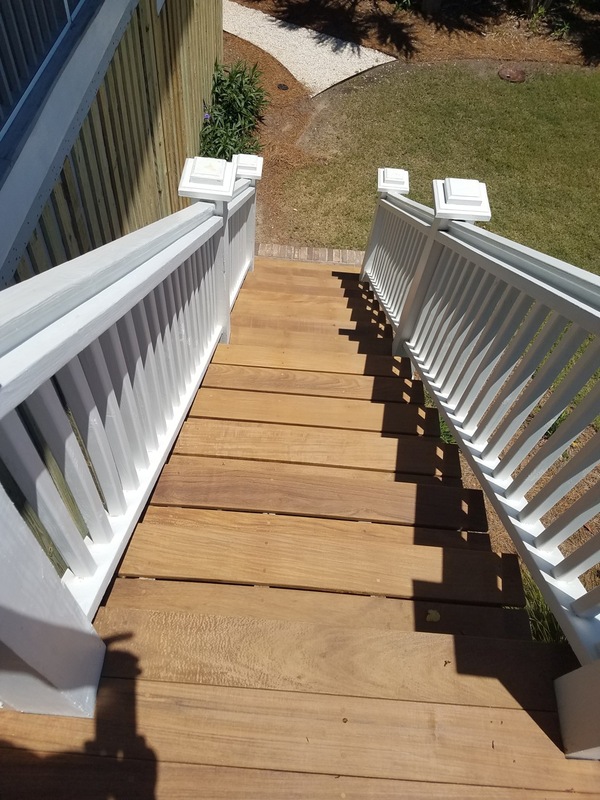 Built an upstairs pergola with Hardie Board as siding and at owner’s request put in all new ipae railings. 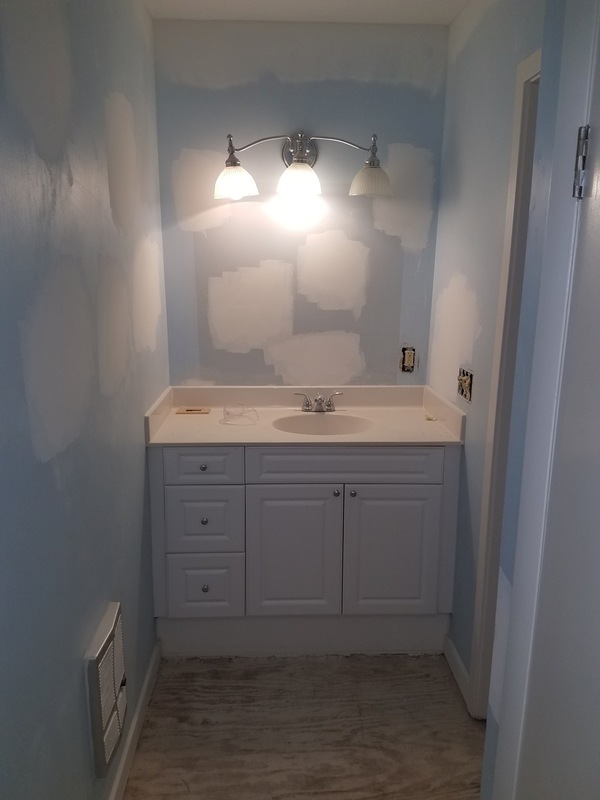 We then painted all new areas. 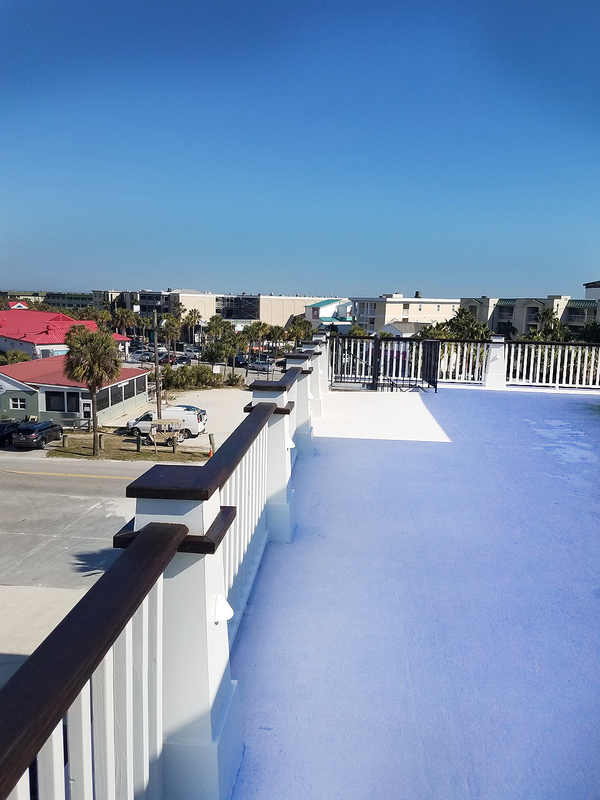 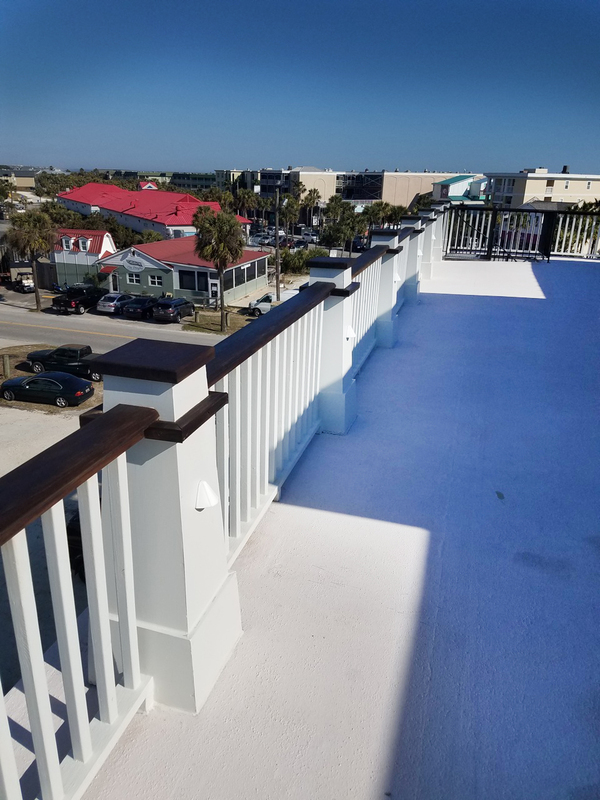 We added hydrostop to the top deck and conditioned all ipae on decks and railings to give it a new look. 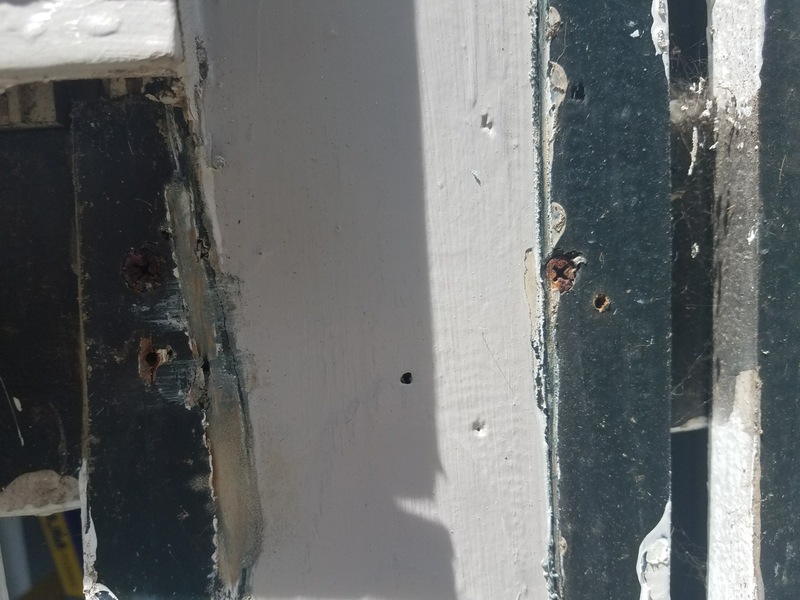 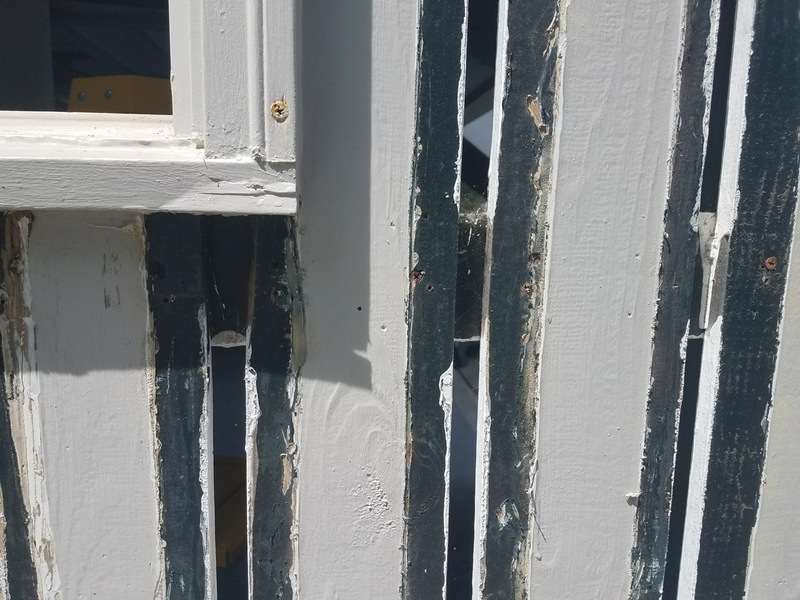 Rebuilt all the slats around the property since they were rotting away and then caulked and painted all new slats. 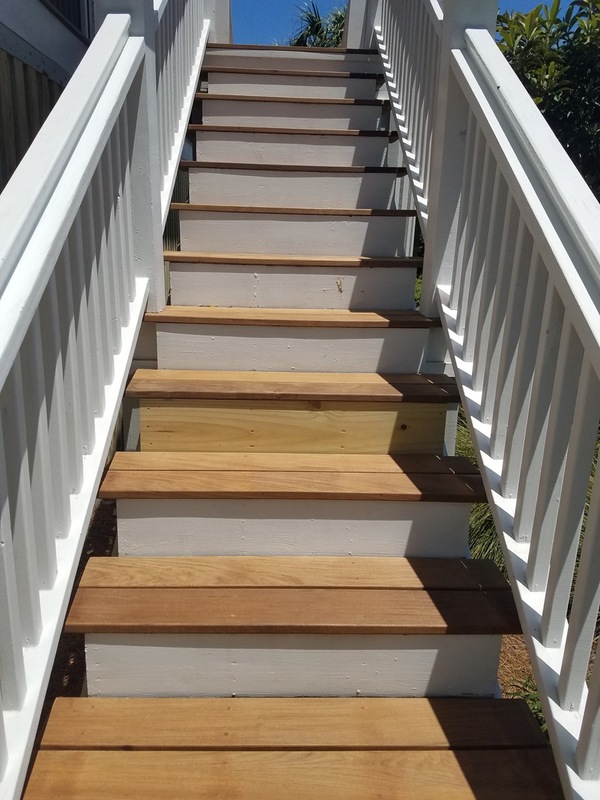 Tore off back steps and put down ipae steps on back deck and conditioned new ipae wood. 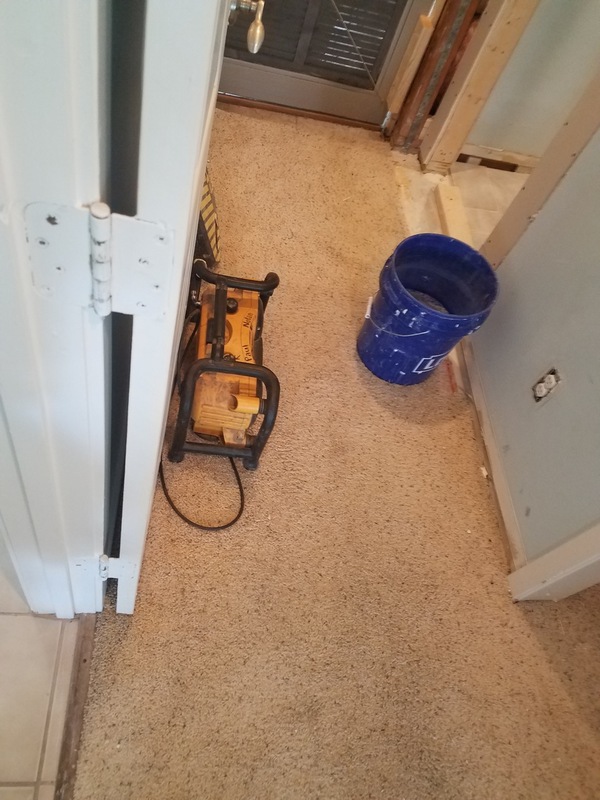 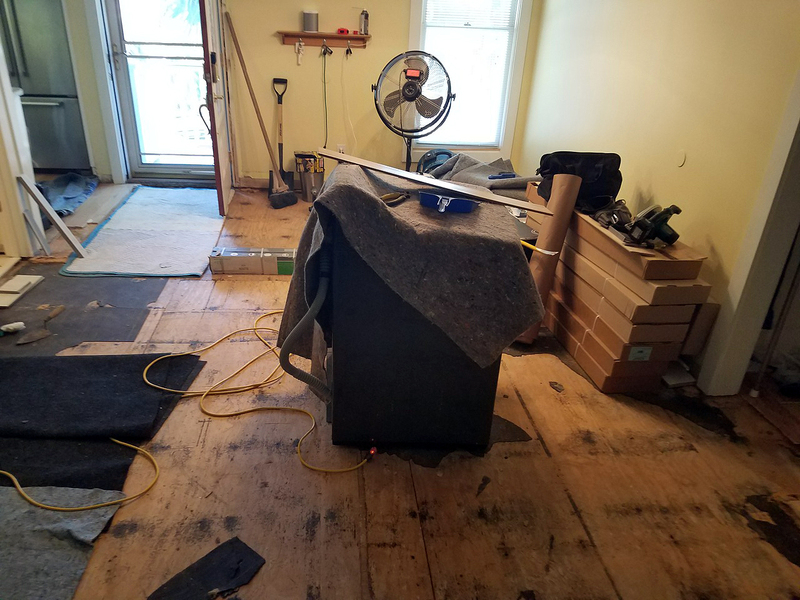 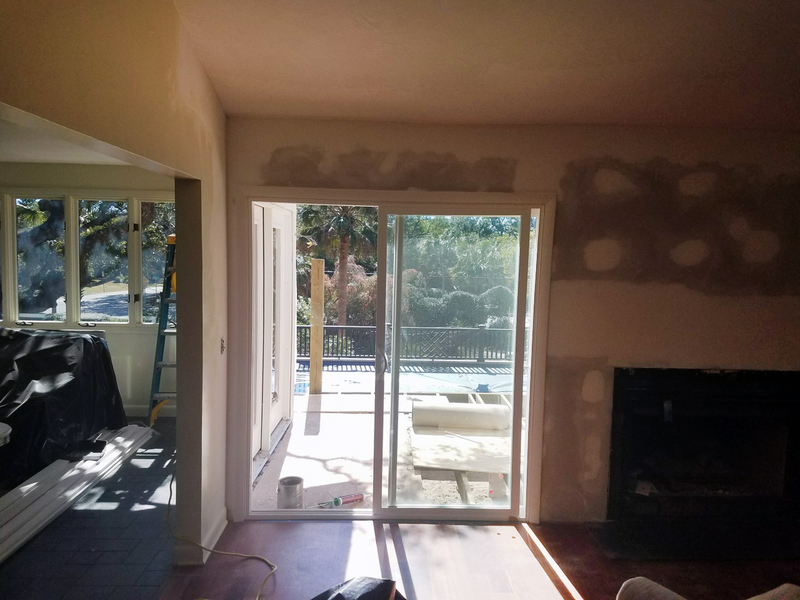 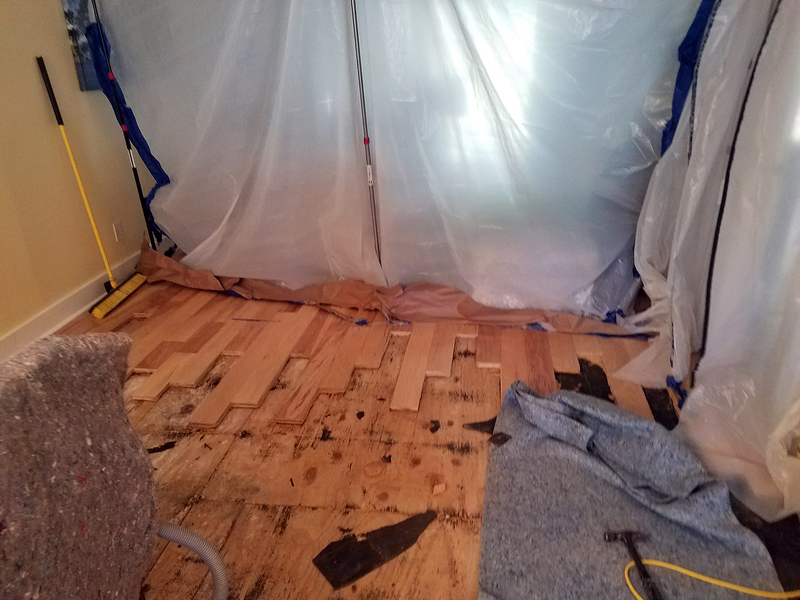 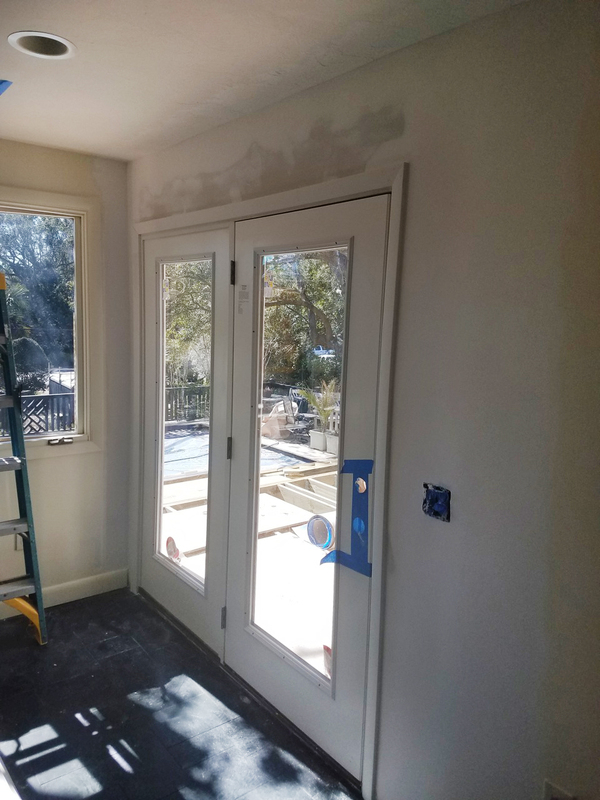 This home had extensive flood damage from the water heater that burst so had to tear out drywall, flooring, and other areas inside the home and in the garage. 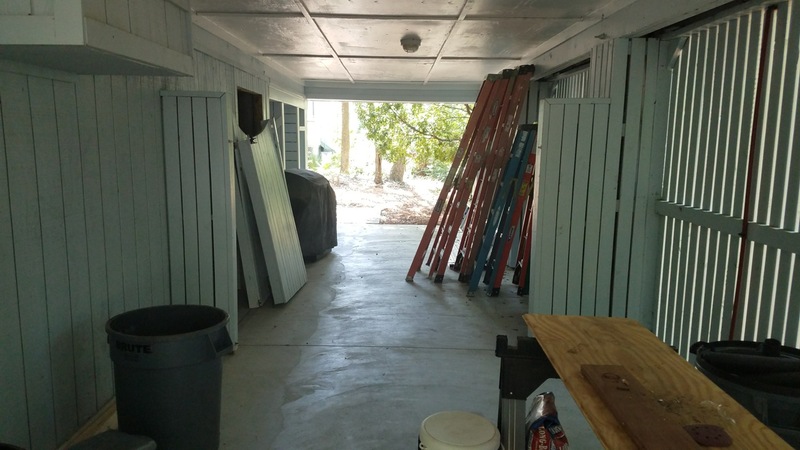 Then replaced all areas with new materials and insulation and then painted to match. 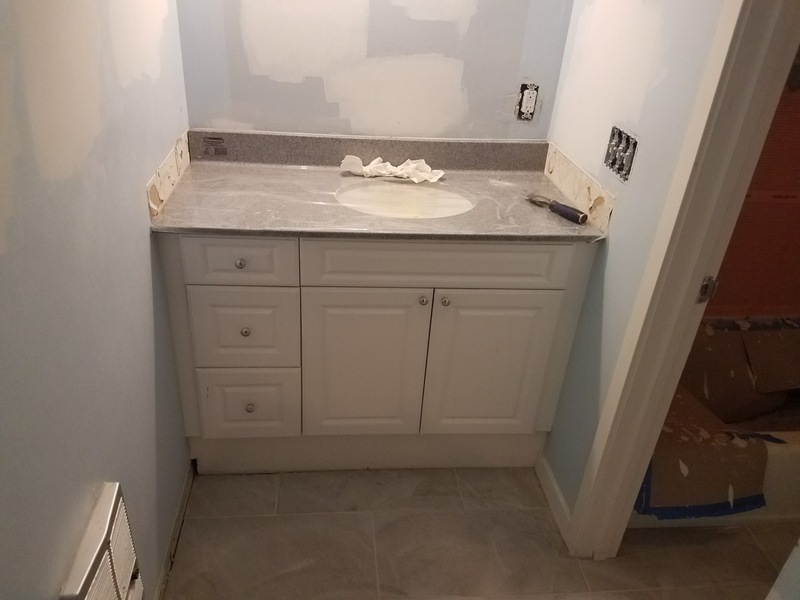 Also ran new electrical and plumbing for the laundry room and also installed a new water heater. 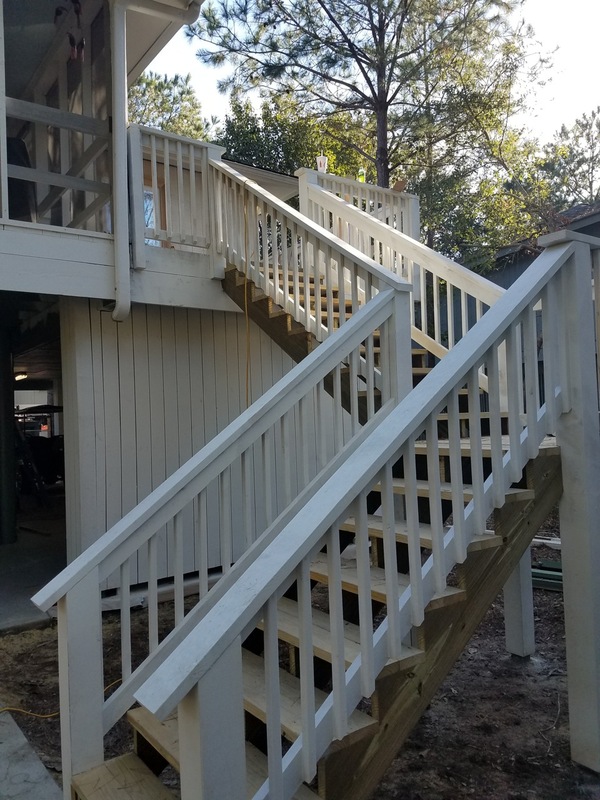 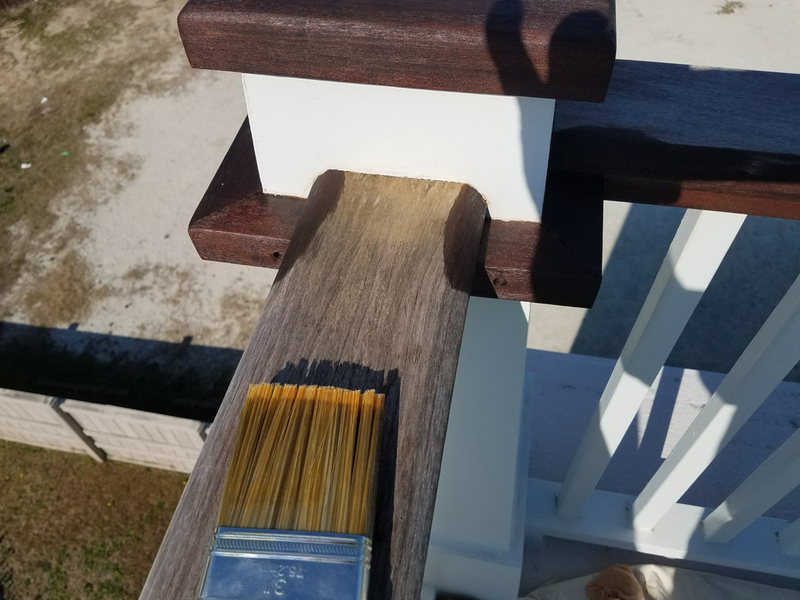 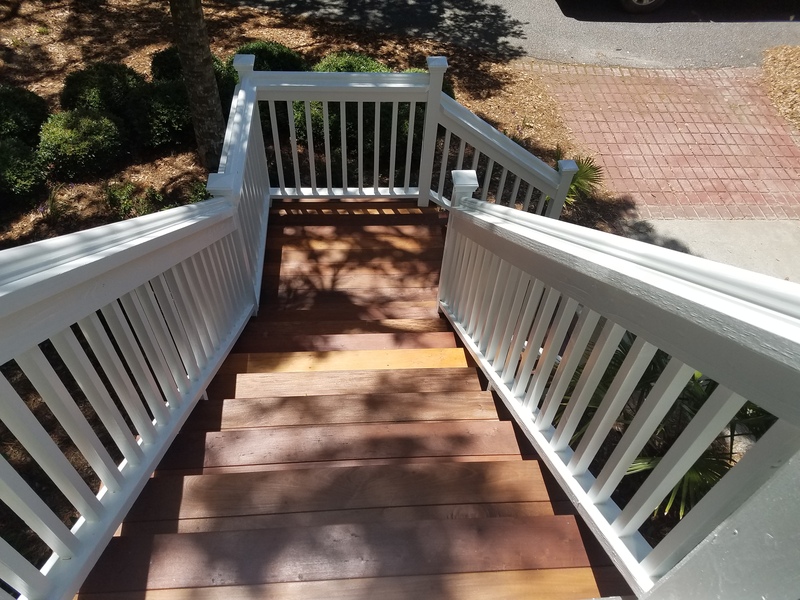 Two month’s before this project we built all new stairwells and slats around the house and then painted all of the new wood. 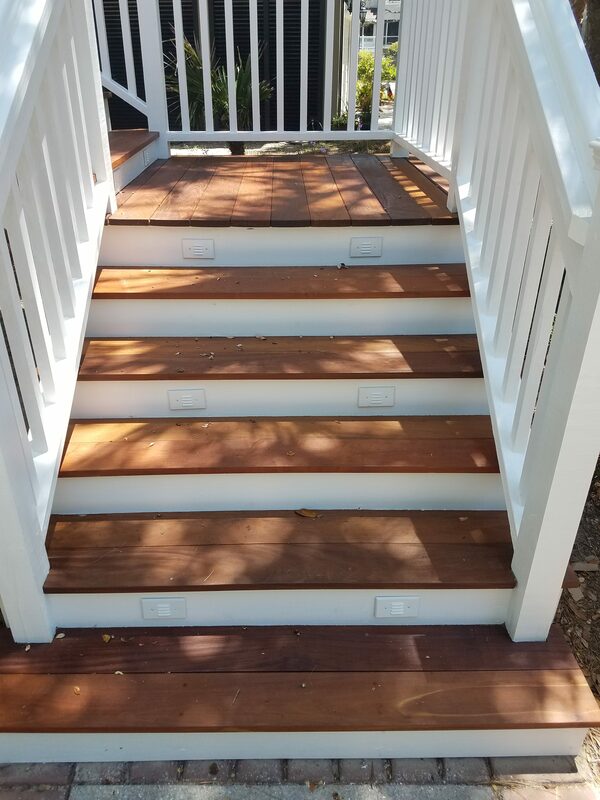 Decking that was used was ipae composite. 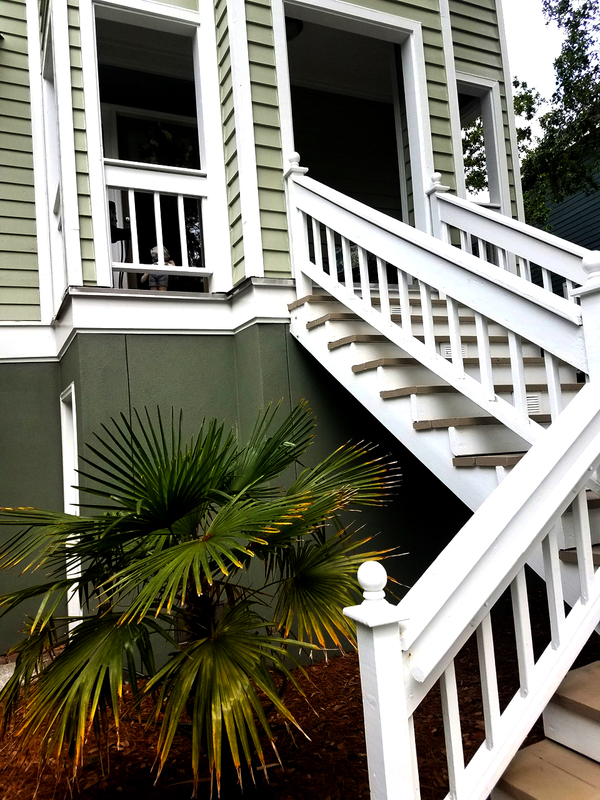 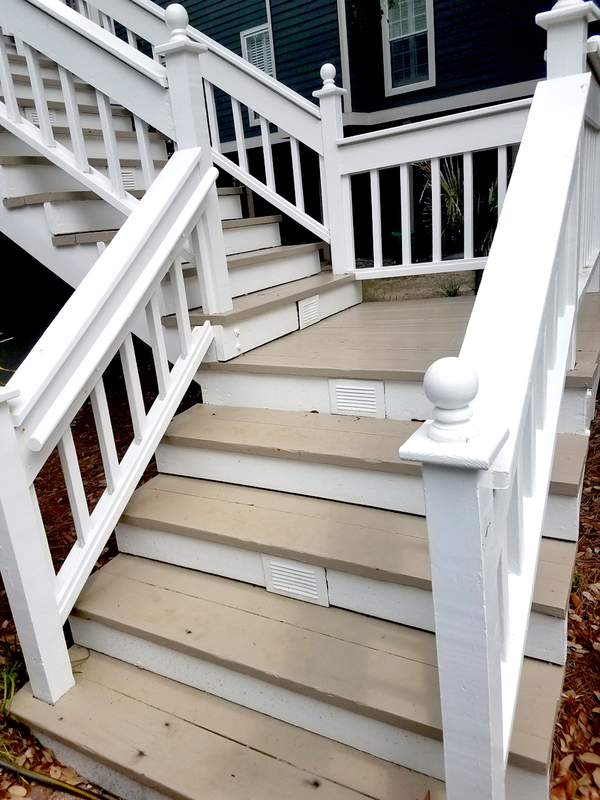 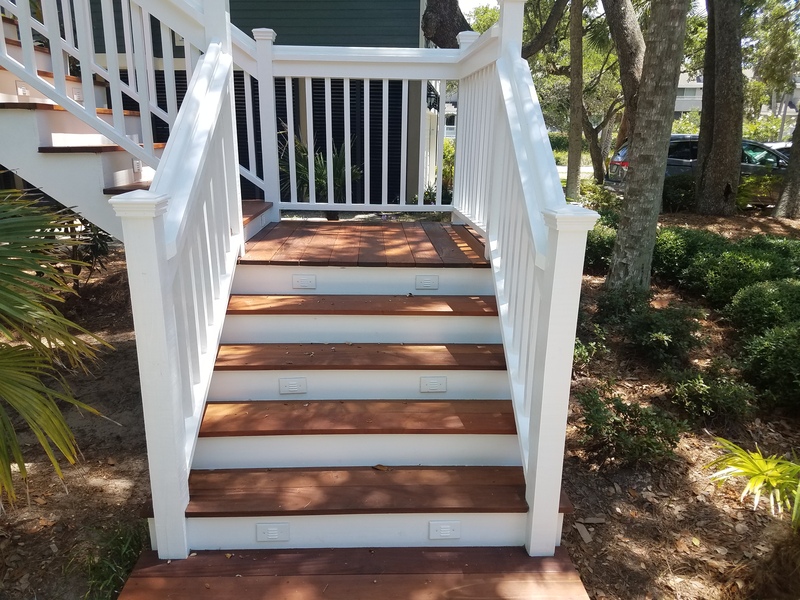 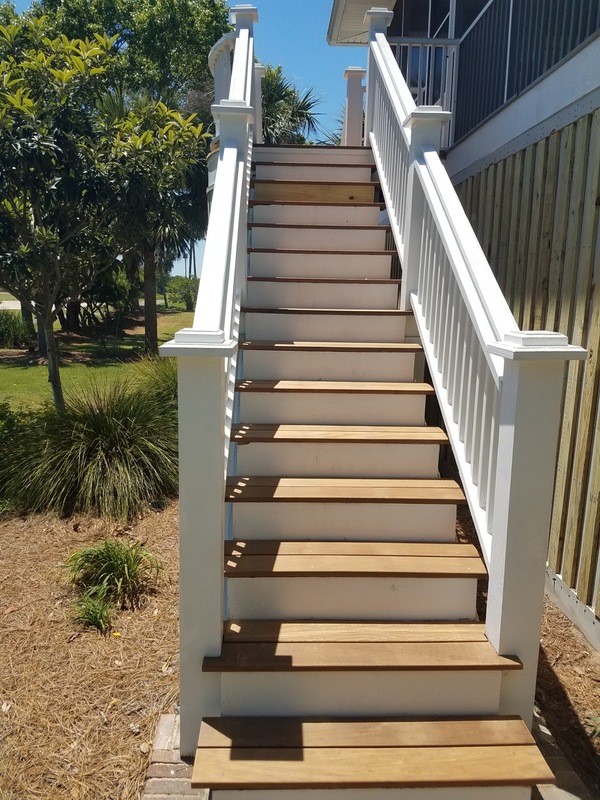 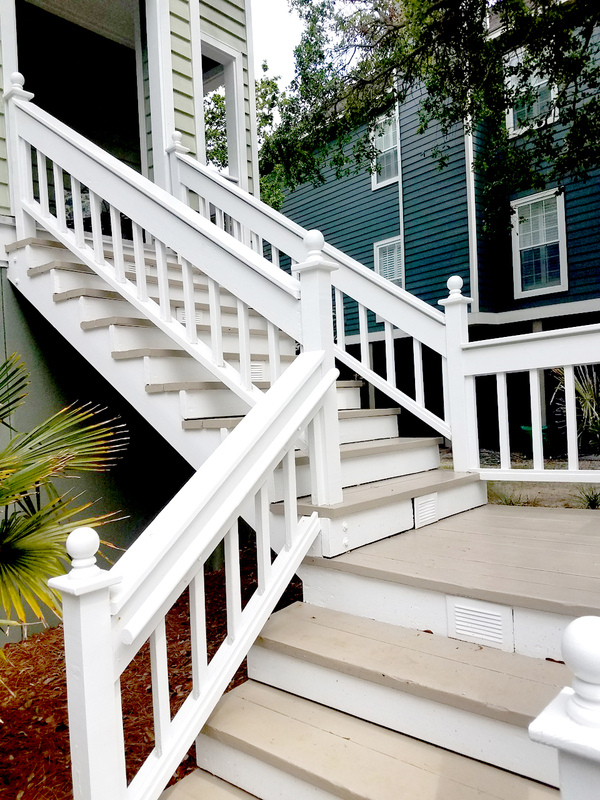 Rebuilt the front steps of this house with new treated lumber and then put ipae steps in and then caulked and painted and conditioned new ipae. 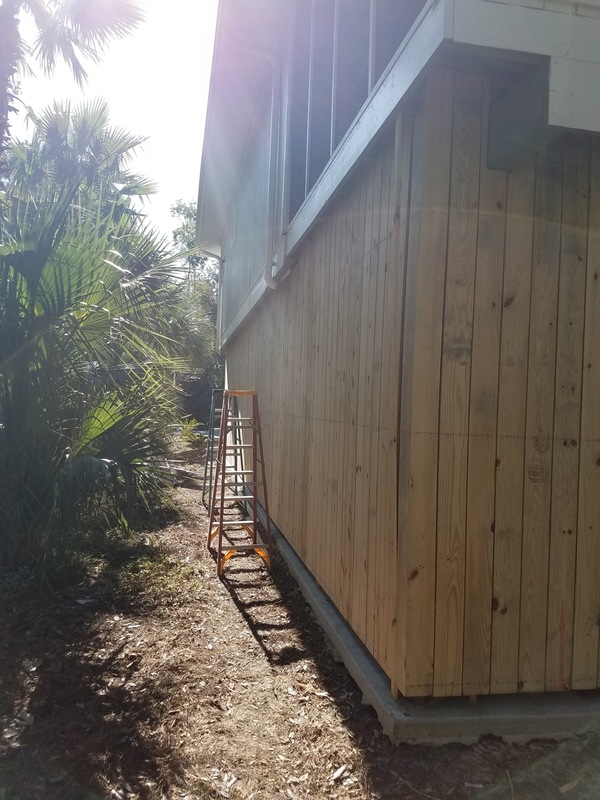 Also, put in new step lights at the property. 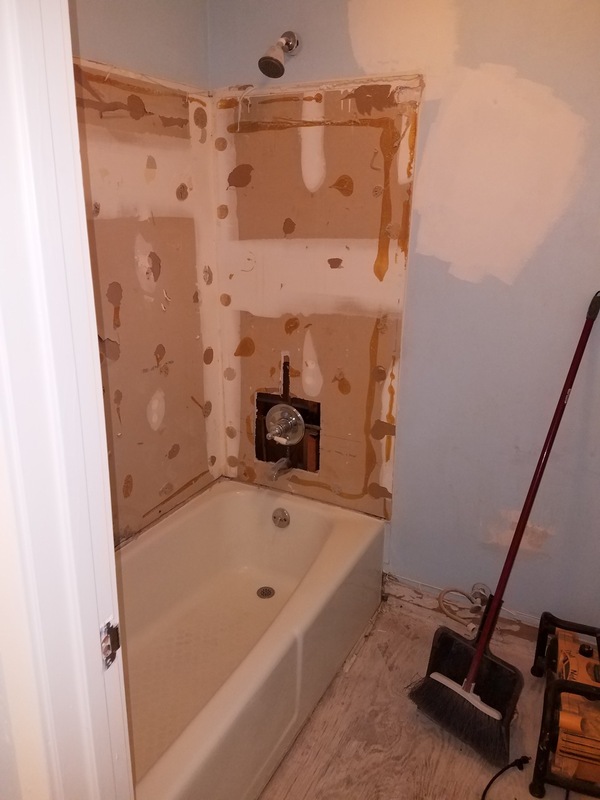 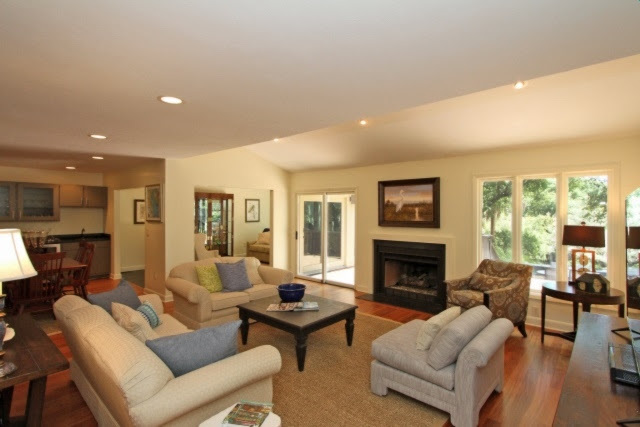 The owner had our maintenance team put in multiple lights throughout the house and installed a new water heater. 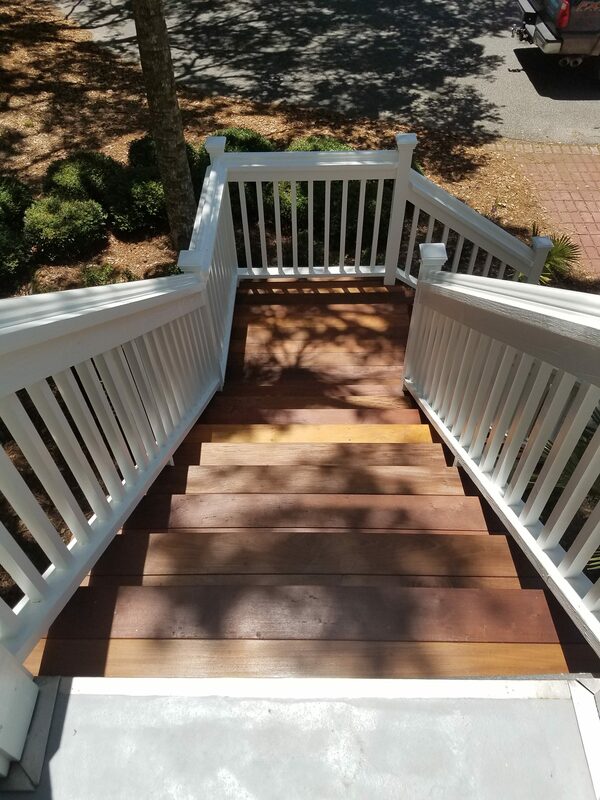 Rebuilt the front and back decks and steps and replaced with new treated lumber and ipae on steps and conditioned all ipae at the house. 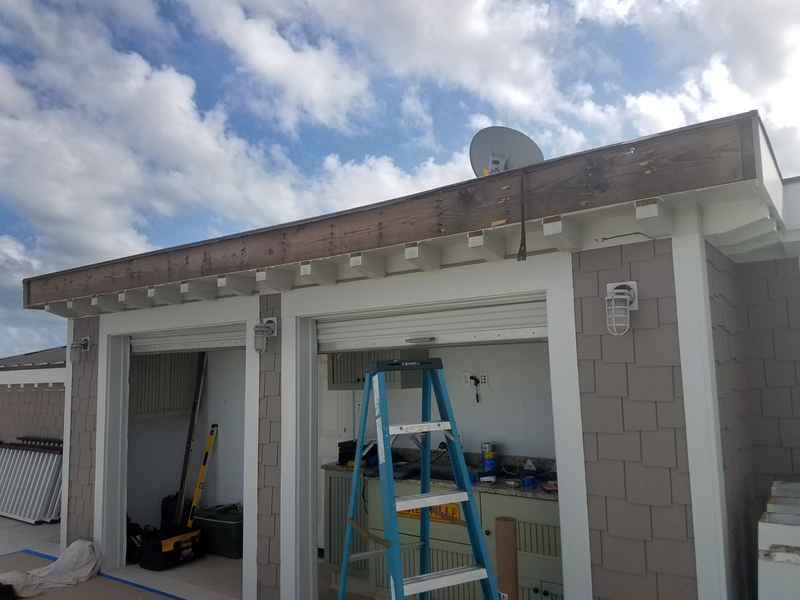 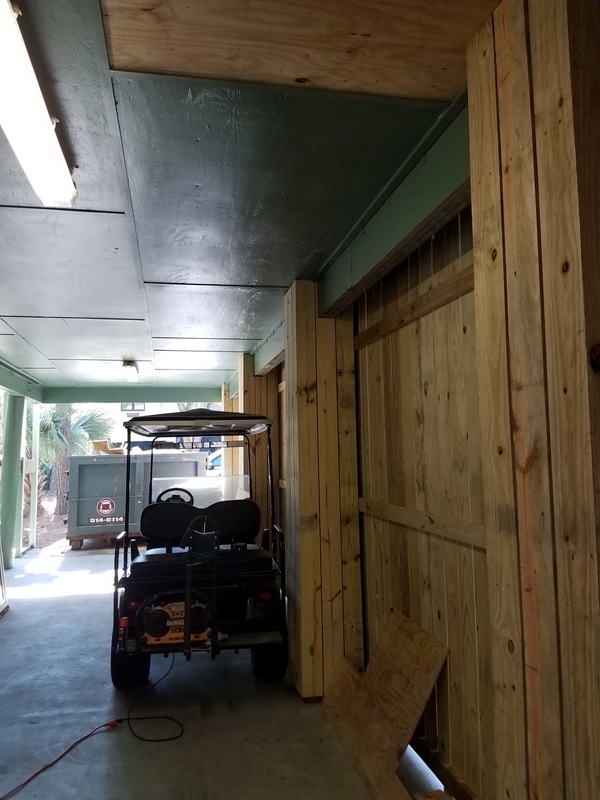 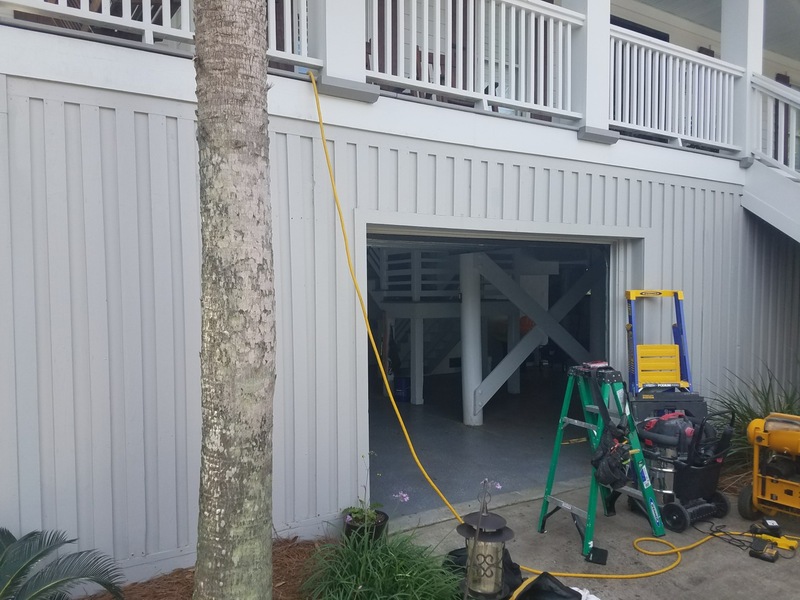 Built a platform on the ground level for a new jacuzzi and put in two custom made gates under property so multiple golf carts could be parked under the property. 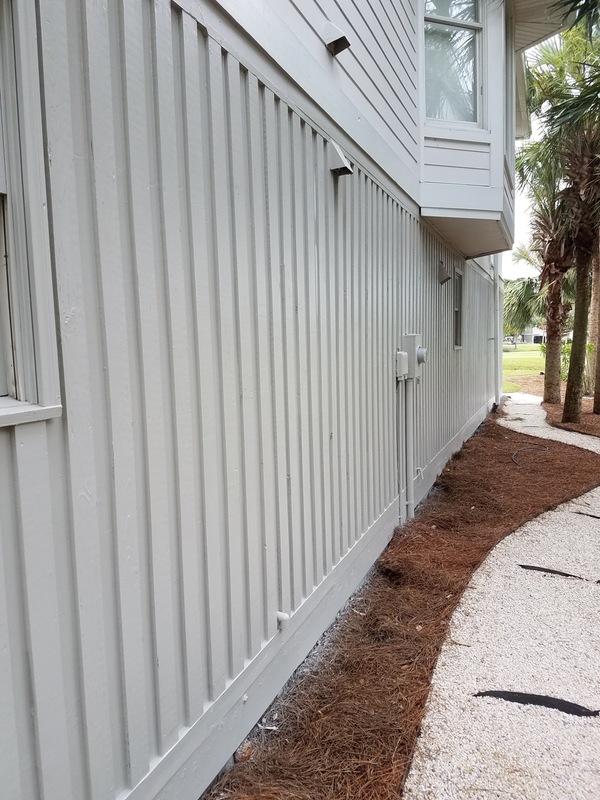 We also power washed and painted the entire house. 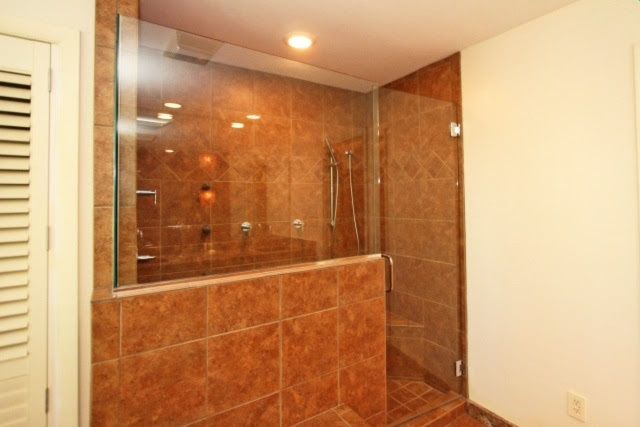 Remodeled both bathrooms and also moved walls and closed off a wall to make the master bathroom bigger. 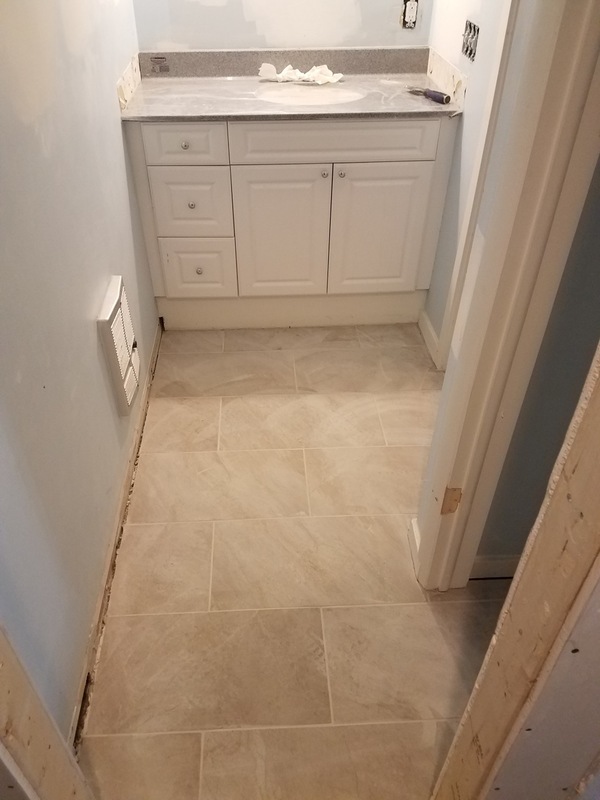 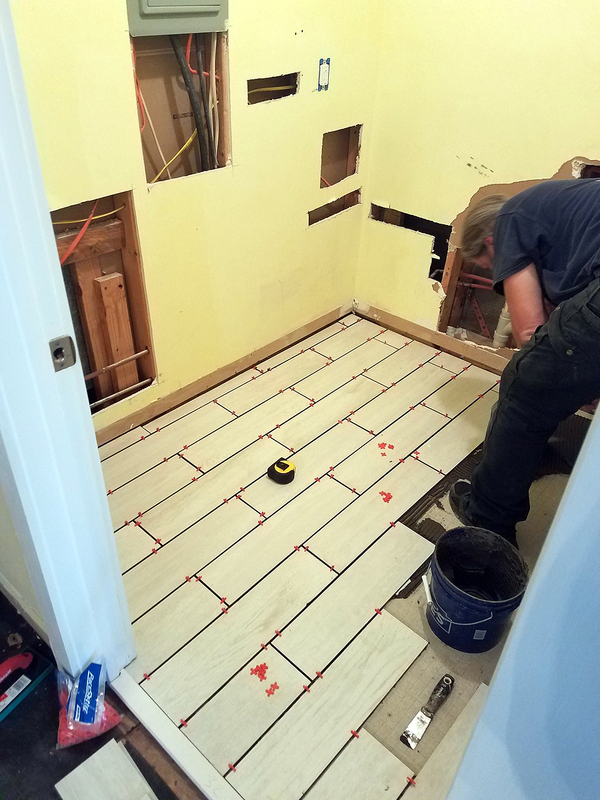 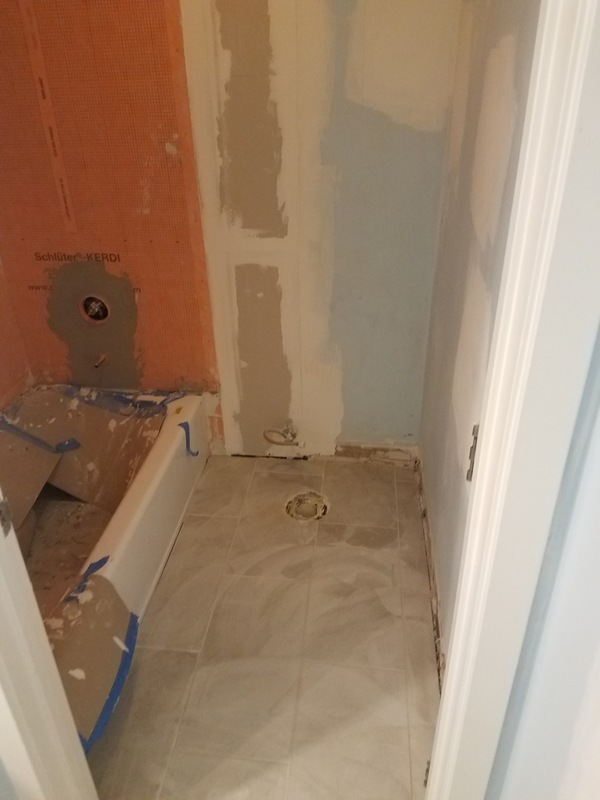 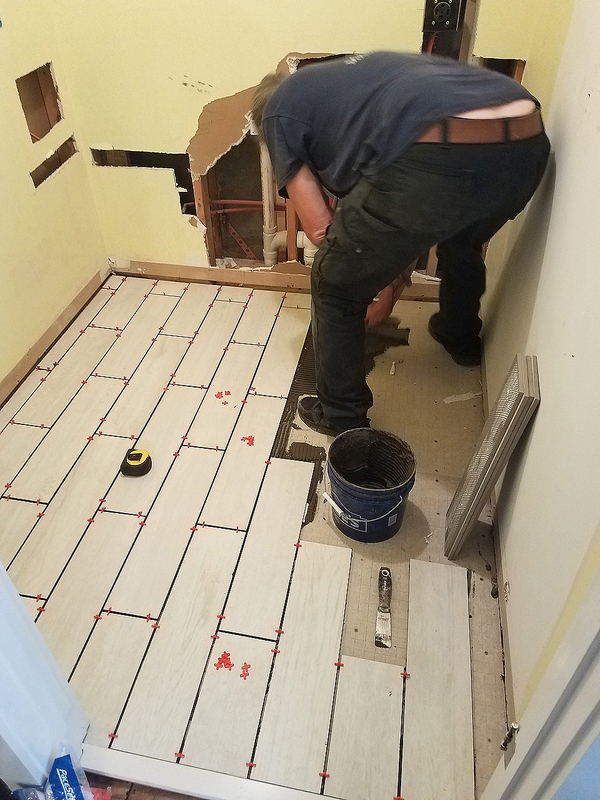 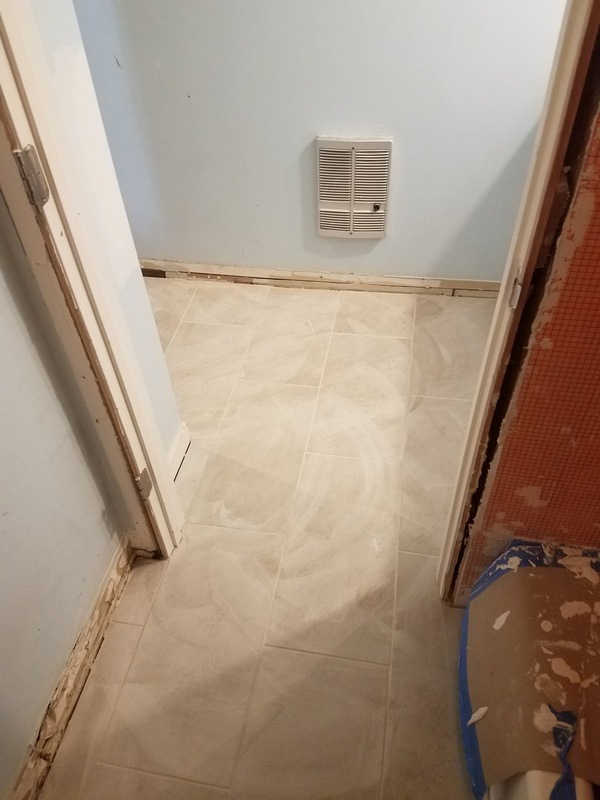 We put down all new tile in bathrooms and added all new hardware throughout the bathroom. 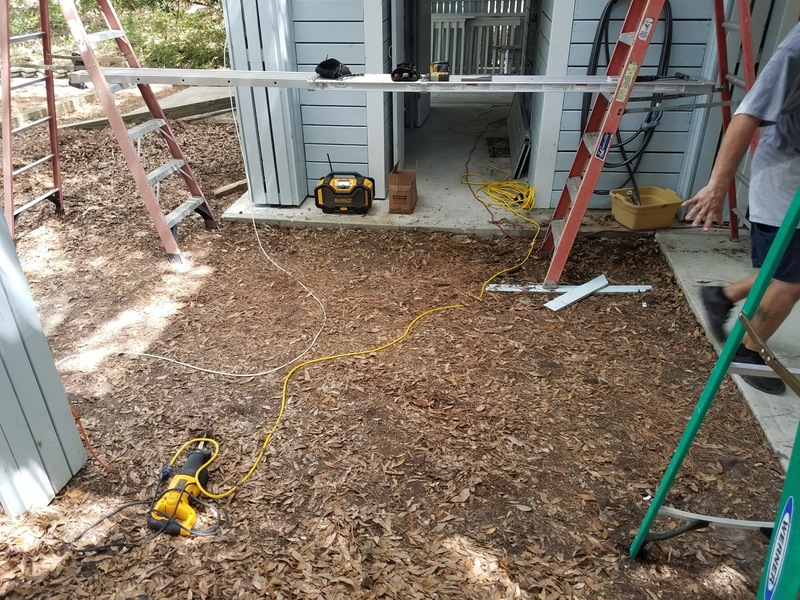 Also put in multiple new lights, fans, and other items throughout the property. 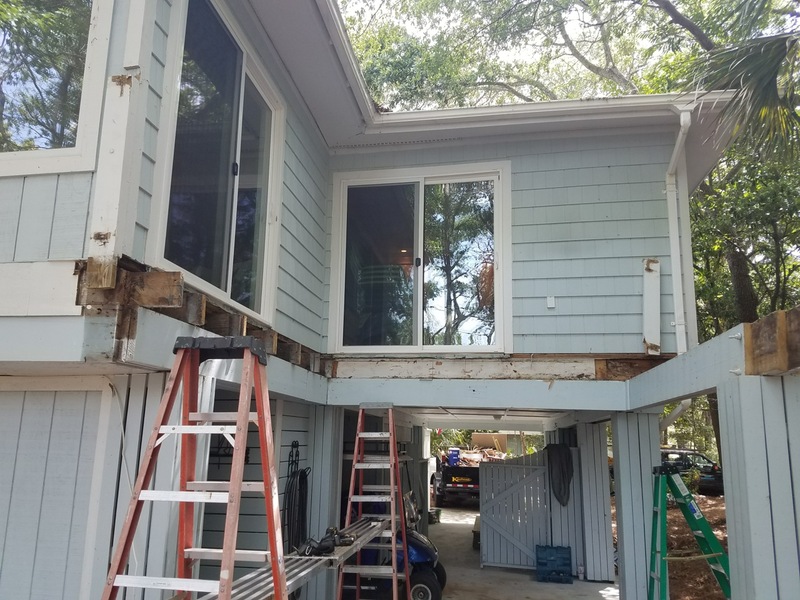 More renovations in the Charleston area coming soon.